We hope you all had a lovely Easter. Spring is upon us, here are some cool items to welcome the change in season. 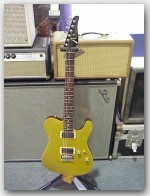 Gold Top Cobra from Anderson! A meaty rock guitar from TA, don't miss this one! Stunning Looks from Pork Pie! Black Sparkle Wrap with Pink power-coat hardware!. A Compact Powerhouse from Genz Benz! 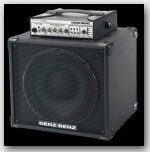 The amazing Genz Benz Shuttle 3.0 10T packs 300 watts into a compact 1x10 combo amp. This thing KICKS! Add some Sauce to your kit!! The Antonio Sanchez percussion pack comes with the LP Cyclops Tambourine, and Piccolo Jam Block! 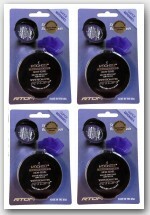 The perfect addition to spice up your kit!